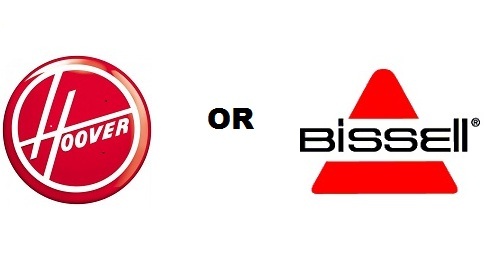 Bissell or Hoover? Which would you choose? Now that’s a really difficult task- Bissell or Hoover? Both brands are well-known and extremely popular across the globe. Both demonstrate excellent performance as well as boast of exclusive features. In simple words, these are major industry leaders. So how can customers understand which one is more superior? Well, no one can answer this question directly as both companies have their pros and cons. That’s why the best solution would be to have a close look at strong and weak sides of each brand, compare them and make certain conclusions. After this, it will be clear which one works better for your needs and preferences. One of the major distinctions between these 2 giants is the range of modes. For example, the Bissell offers the whole 30, varying in 3 main kinds: portable, upright and canister. Additionally, some of these units are 2 in 1. This means you can purchase an upright model that can serve for rooms cleaning as well as upholstery, car interiors, stairs and many other places. It is called a “lift-off” feature. Other features are “Pet”, “Deluxe” and “Premium”. They also have multiple attachments and should be chosen as per personal needs. Considering the range of the Hoover, one immediately notices only 9 models, all being upright. Therefore, before opting for one of these top carpet cleaners, take into account the kind of unit you need and only then make a final decision. Let’s look further at the following aspects: detailed performance, customer satisfaction rate, prices, etc. The information we provide is based on users’ reviews, feedbacks and comments. The cleaning process of each brand varies, as both provide different technologies equipped in machines. Each of these technologies is exclusive, one of a kind and guarantees 100% positive outcomes. Comparing such innovative technologies, it is hard to determine which one is better. 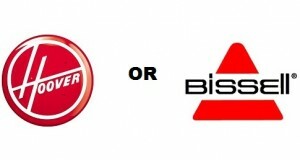 Therefore, let’s look further at Bissell vs Hoover! Upright carpet cleaner models with full power are extremely effective. Of course, there are certain advantages and disadvantages. Yet, researching and analyzing them all, it is still hard to say which one is better. For example, a great number of consumers claim that Hoover has a better suction power. It means, its machines provide excellent suction results. It also means that the drying process is way quicker. Getting closer to Bissell, it offers a heating technology that keeps the water warm while the process. It guarantees great effectiveness. Both manufacturers are also popular for their brushing systems. While Hoover is offering rotating brushes that lift all the dirt, Bissell’s brushes carefully yet, thoroughly scrub everything. Due to the fact that both brands demonstrate great results, users have divided into two categories. For now it is really impossible to say who is better. So, let’s look further at more functions and options. Hoover is a wonderful example of a carpet cleaner that heats water. Availability of warm water is a certain guarantee of outstanding tidying up as well as quick drying time. Meanwhile, Bissell can also boast of a heating technology. It has a 12 amp motor that keeps the water warm and provides strong suction of dirty water. No wonder it is thought to be the best brand among thousands of consumers worldwide. Brushing technology has already been described a bit above. Nonetheless, not all aspects have been mentioned. Let’s look closer at the design, quality, quantity, angles, rotating speed, etc, since it is important in terms of effectiveness. Of course, the brushing technologies vary and the way they work too. Bissell offers: 3 different sizes of brushes (6, 10 and 12 inches). Whereas, Hoover 11.25 and 13 inches – much wider than those of its competitor. From the one side, wide brushes keep less strokes. Yet, from the other side, it is not always possible to get to the tiniest places with a wide brush. That’s why the optimal option would be a 10” brush. Apart from the size, one should also pay attention to the design. Here, both brands are almost similar- offer spinning brushes that rotate when needed, contacting with the surfaces, getting deep and lifting all the messes from fibers. Do you like to fill the tanks once only or do it a few times? This is significant when it comes to filling and refilling. When first home carpet cleaners appeared, they had 1 gallon of water. But time goes on and technologies develop. Within a few years, Bissell upgraded it to 1.25 gallon, making it a norm for a majority of units. There are no huge distinctions between these two companies. Hoover features 1-1.25 size and Bissell is more into 1.25. Yet, where the difference is really obvious is when you look at a tank system. Hoover has a dual one, meaning that 1 part goes for clean water and 2 one for suctioning of dirty water. It is a separated system. Some clients like this idea, while others complain. They say that if a big place should be washed, they have to refill the tank many times. But for middle or small spots, this is a perfect option. The majority of units from Bissell come with 1 tank. It has a bladder in the middle to separate water. Despite this trend, very recently, they have introduced a model with a dual tank, called ProHeat 2x. Received comments and feedbacks are more than awesome with customers being happy with the outcomes. Summing up all differences and similarities, we would like to note that dual tank system is better. It does require multiple refilling in case of tidying up large areas, yet it is easy to look after compared to 1 tank system. The choice is yours and as you can see, Bissell gives opportunities! Being a regular user, one 100% knows such fantastic models as the Bissell Deep Clean Deluxe with 1 tank system and ProHeat 2x with a dual one. The market is really full. So, just compare the criteria you would like a unit to have and then decide in favor of this or that model! Meanwhile the Bissell vs Hoover “battle” keeps going, this time in terms of longevity. The longevity of units from these two brands is very good, if not to say, excellent. Clients can boast of long-term performance for many years without any issues. However, little negative things might occur during the first year of usage. But this percentage is so small, that manufacturers simply solve these problems. Only 5% of users from both companies have had issues with units they have bought. The main complaints were about: leaking, not powerful suction, broken parts. The rest 95% of users are extremely happy with the purchases. Some claim to have been using a unit for more than seven years. All in all, it is always a matter of luck. So, if you are seeking a model that will service you for many years, then consider professional quality ones. They are much better compared to standard home upright units. Not wishing to experience any troubles? Then opt for heavy or the so-called commercial type of units. Of course, it might costs more money, yet the investment is definitely worth it. So, depending on personal needs, budget and objectives, you can make a choice! How would you like a cleaning machine look like? Should it be big or small? With multiple features or a simple one? Do you prefer a unique design or an ordinary one? Whatever your wishes and dreams are, you will find what you want. Indeed, people do understand that bigger units serve longer and perform better, yet a slim version can also be good and easily hidden in a storage or elsewhere. Hoover offers all kinds of models, starting from lightweight models (Steam Vac) and finishing with heavy ones (Max Extract). Bissell is mainly focused on big machines, making clients feel more confident. Yet, its newest model ProHeat 2x is a slim version. Therefore, once again, the industry is full of all kinds of machines. Choose the one that suits your needs the most! Carpet cleaner for pets is of a great usage. But it doesn’t matter whether the model has a “pet” label or not, the job will still be done at a superior level. This is because manufacturers provide special cleaning formulas that make a difference. Whatever brand one opts for, he/she can count on pet stains treatment and effective detergents. The only difference one notices between “pet” and “non-pet” labeled units is what they come packaged with. Some include a special detergent for pet stains while others a usual solution for carpet dirt. Another major difference is that Bissell has a pet hair basket option. This feature is very effective when it comes to collecting. Because usually before cleaning, users tend to vacuum pet hair. The pet hair basket idea is perfect. It collects every tiny hair from fibers, leaving the surface in absolutely excellent condition. Practically speaking, not all consumers are happy with this newest feature, claiming that the collector doesn’t go that deep in fibers. So, once again, Bissell or Hoover is a matter of personal choice based on facts and certain information. The prices of both companies are comparatively the same with Bissell being just a little bit more expensive. In simple words, one can say that both brands cover all kinds of clients: those who need deep cleaning as well as infrequent one. The costs also vary: from cheap models to expensive ones. That’s the main ground, why there are 3 groups: affordable, cost-feature and feature-aimed. Having researched the prices more precisely, we have mentioned that Bissell charges from $20 to $100 more than Hoover. But it does provide a bigger selling package. For example, it includes various formulas, warranty, additional attachments, etc. NOTE* the warranty is violated unless consumers don’t use special detergents from a manufacturer. Many people believe, it is another financial trick from the manufacturer to increase the revenue. The “fight” of Bissell vs Hoover has been ongoing for far too long. Now, it is time to sum all information up and make detailed and precise conclusions. 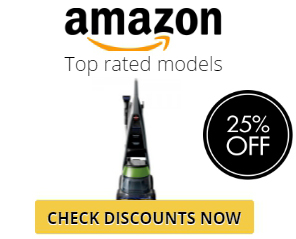 To start with, both are popular, quality, with ideal performance, with extra features and tools that make the cleaning process easier and quicker. Hence, if you are looking for a model that would include all these features and much more, then we would highly recommend Power Scrub Deluxe. Even though ProHeat 2x is a bit more expensive, it is hard to identify why. Perhaps, it is just because of a brand’s name. Yet, being a pet owner, Proheat 2x is more advised, since it has special attachments. All in all, we do really think that Hoover has won this “battle”. Affordability, durability and quality – are the main qualities that make it the best-buy. However, if you are in need of a portable or professional unit, then Bissell is the one to purchase!